When you enter the career portal of Marriott, click Search & Apply Now. 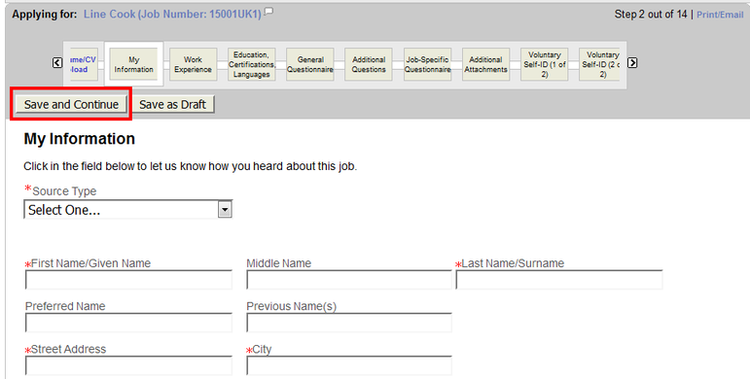 On the following page, fill your location and wanting job keywords into the search box, click SEARCH AND APPLY to see the result. There are more categories below the search engine. 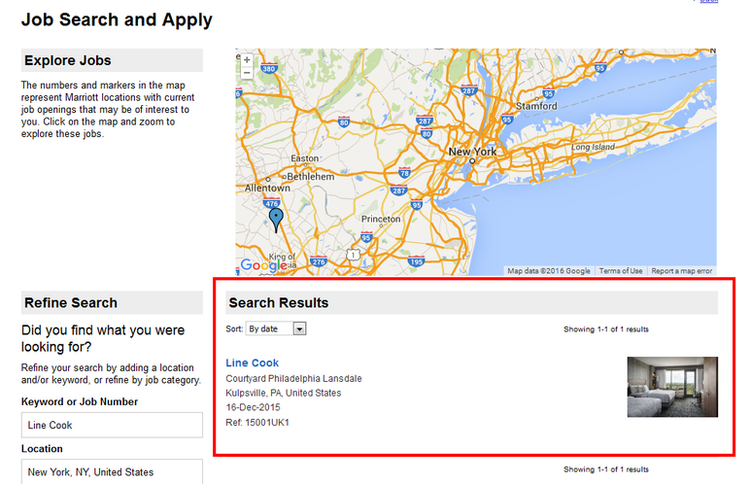 Search engine gives all results that match with your query, now it’s time to pick a position you want. Click on the position to continue. If you find the result doesn’t match your search, please go back to refine your keywords and try again. Please confirm the posted date, the earlier, the better. Also does the schedule and brand, to make sure this is the job you are searching for. When everything is ready, click APPLY to move on. 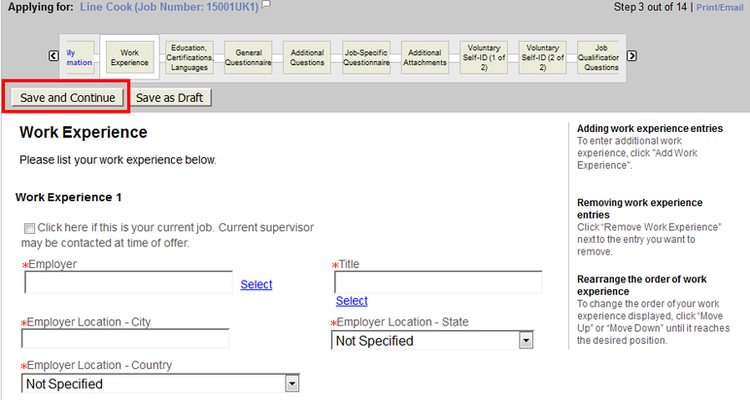 Before to start your online application, there will be page skipping out to reminds whether you need job openings alert. You can skip to apply if you do not wish. 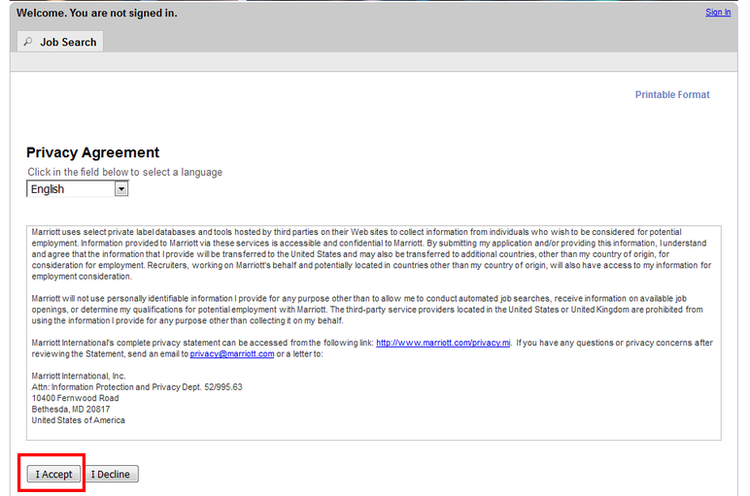 You are welcomed by a privacy agreement, consent it to go on. 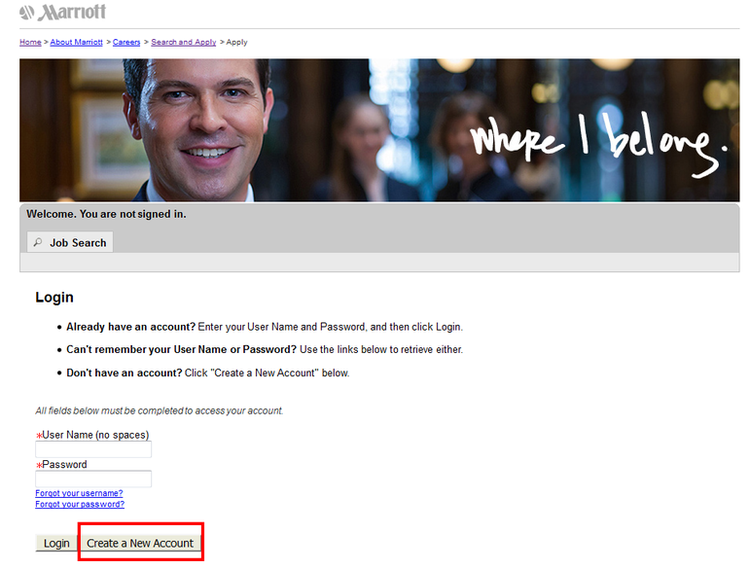 It is necessary to register when you are applying for a job online, because all the application cannot be available unless the applicant has logged-in. And it’s helpful when a potential recruiter is desiring for an excellent employee. Please finish your registration to enter the next page. 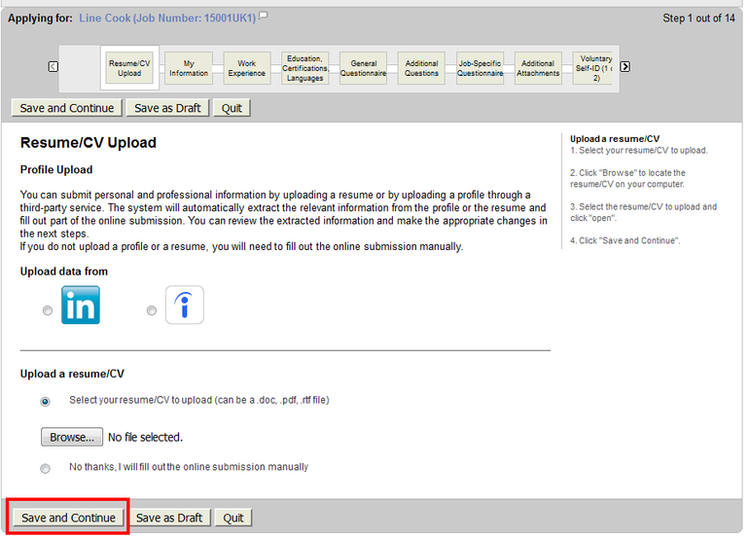 There are three ways provided for you to upload your resume. You can upload your data first from your LinkedIn and Indeed account, or a more original way, upload your prepared CV from your computer. You need to fill up this chart to complete your personal information, including your working schedule, place of residence, etc. Next you will have work experience chart, education history, general questionnaire and other steps to go on with. Most of them are forms or choice questions. There is process bar above, where you can check which step you are in. Submit your application with all steps completed. 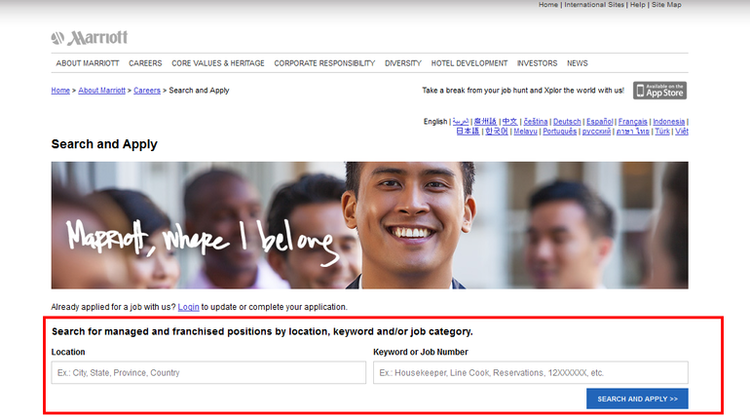 Click marriott.com/careers to apply for Marriott jobs online.